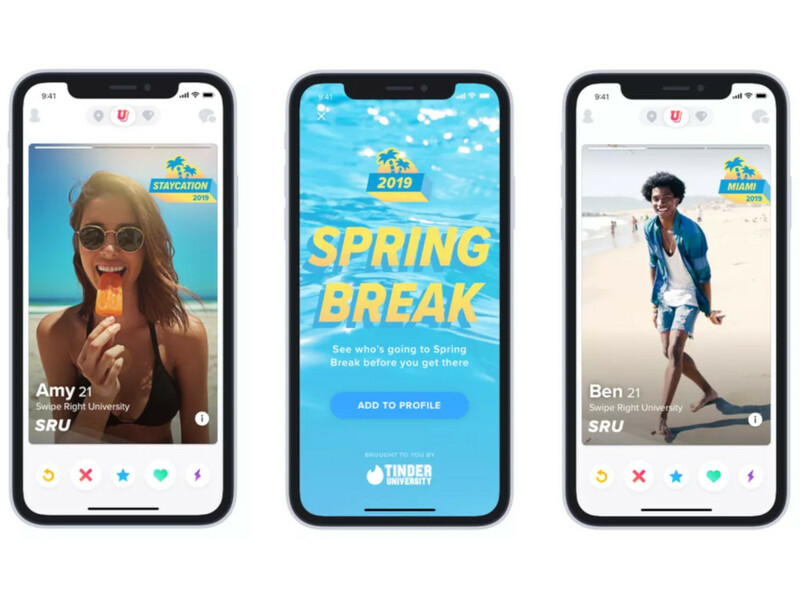 Tinder U members will be able to use the limited-time feature to match and message with fellow students from March 4 to March 31 in 20 popular vacation destinations. Users can activate the mode when the Spring Break card appears amongst their matches. Tapping the card reveals a selection of vacation destinations to choose from. 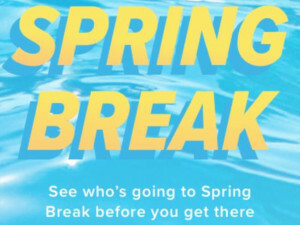 Once selected, the location will be displayed as a profile badge and Tinder will show users potential matches who are planning to spend spring break in the same city. The supported locations include Las Vegas, Miami, New Orleans and San Diego, as well as several popular destinations outside of the United States. There’s also a “Staycation” option for those who won’t be leaving home. The idea for the feature was inspired by trends the company noticed in product usage during March. Certain cities saw significant increases in usage during the spring break timeframe. TechCrunch reports that Cabo San Lucas and Lake Havasu experienced a 2x increase in activity. Panama City saw a 10x increase. South Padre Island experienced a whopping 100x increase in March 2018 compared to the previous month. Tinder also consulted with Tinder U users to determine the final destinations included in Spring Break mode. The launch of Spring Break mode is part of a larger initiative to focus on younger Tinder users who are more interested in exploring than settling down. For more on this dating service you can read our review of the Tinder app. So you are bordering on criminal negligence to boost your profit margin. Smart move in today's society. Hi Sue we here at Tinder want to put you even more at risk during Spring Break. Now you can meet a guy and not know anything at all about him, where he's from, and chances are never able to track him down should there be a problem. Way to go Tinder. There needs to be some kind of oversight to hold companies like Match accountable. They are making billions with no boundaries on customer service and no way to properly communicate with the company. Would you spend money with a phone carrier, a restaurant, shoot any business without being able to question them about issues and customer service? I think not.